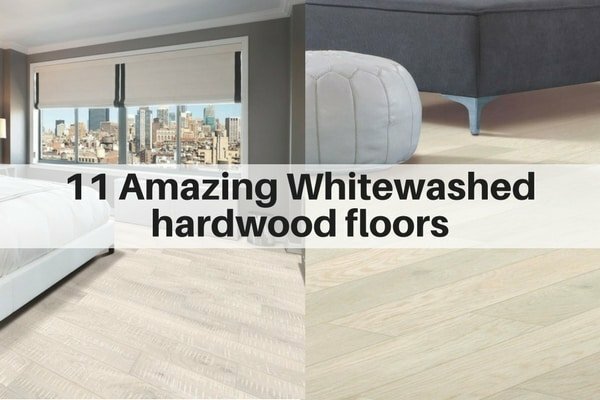 Whitewashed floors have made a huge comeback these last few years. 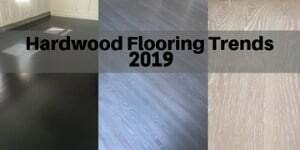 The cool thing about the newer whitewashed floors is that they have a whole new look and feel vs what was popular 20-30 years ago. 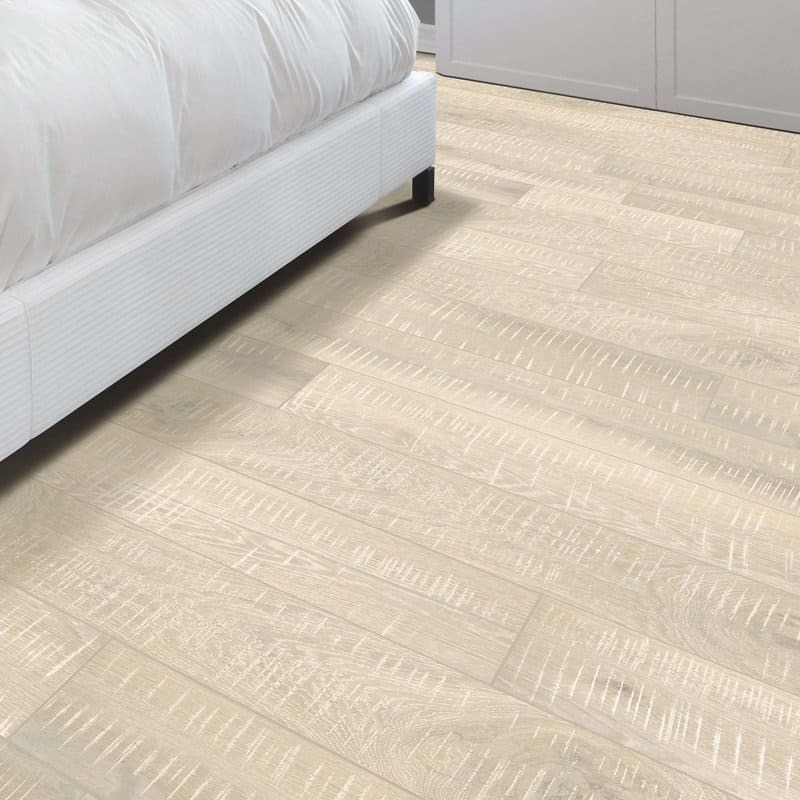 Now, the white floor have more texture and dimension, as well as wider planks, so they really give a modern, spacious and airy look. 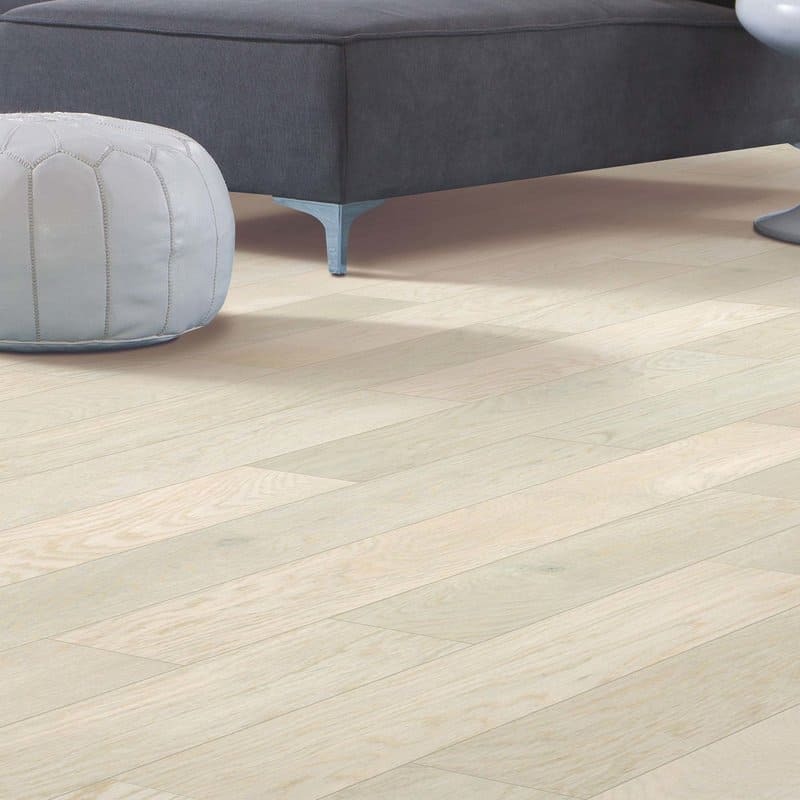 You’ll notice that you can find whitewashed floors with more character (i.e. knots and mineral streaks), with etching (i.e. wirebrushed), with softer and matte looks. And, there’s a variety – some are whiter; some just have a hint of white. 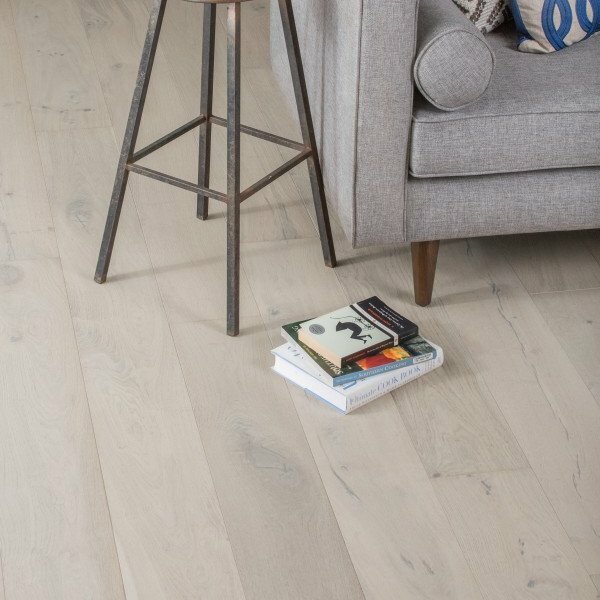 These floors are great options if you’re looking for a modern style, farmhouse decor as well as a Nordic style. 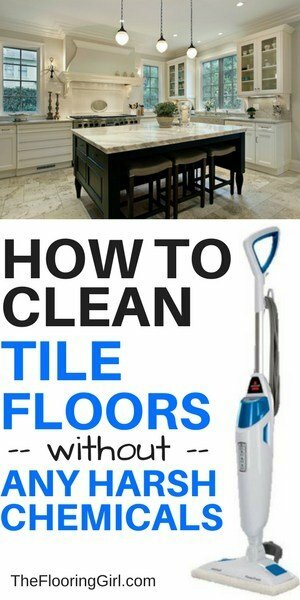 The lighter/white floors make your space look larger, and they show dirt less (compared to darker floors). 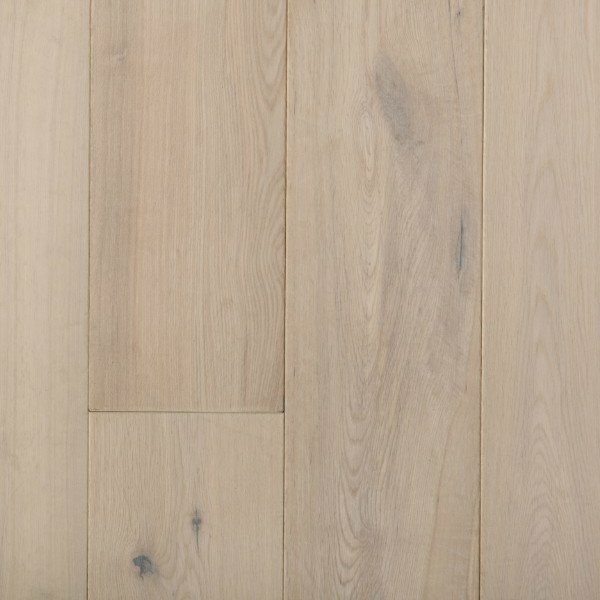 Whitewashing tends to work a bit better on prefinished floors (because most installers do not know how to refinish these floors properly), and you tend to see more whitewashed floors in an engineered format (as it’s easier and less expensive to do wider planks). 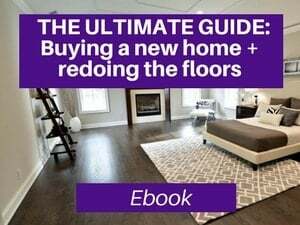 So, I thought I’d provide some advice on selecting whitewashed floors and some of my favorites on the market. If you click on most of these pictures, you can find out more details (e.g. price, thickness) and even buy them online. 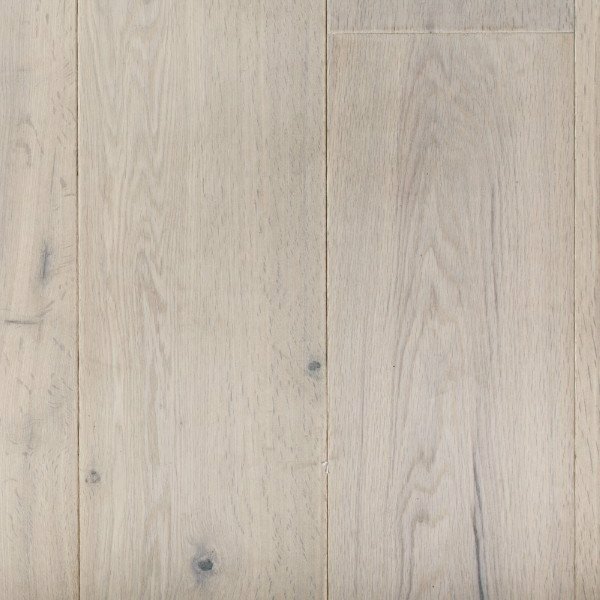 Here are the key things to consider when selecting whitewashed hardwood floors..
Wider planks make your room look larger (that’s just how our eyes work). 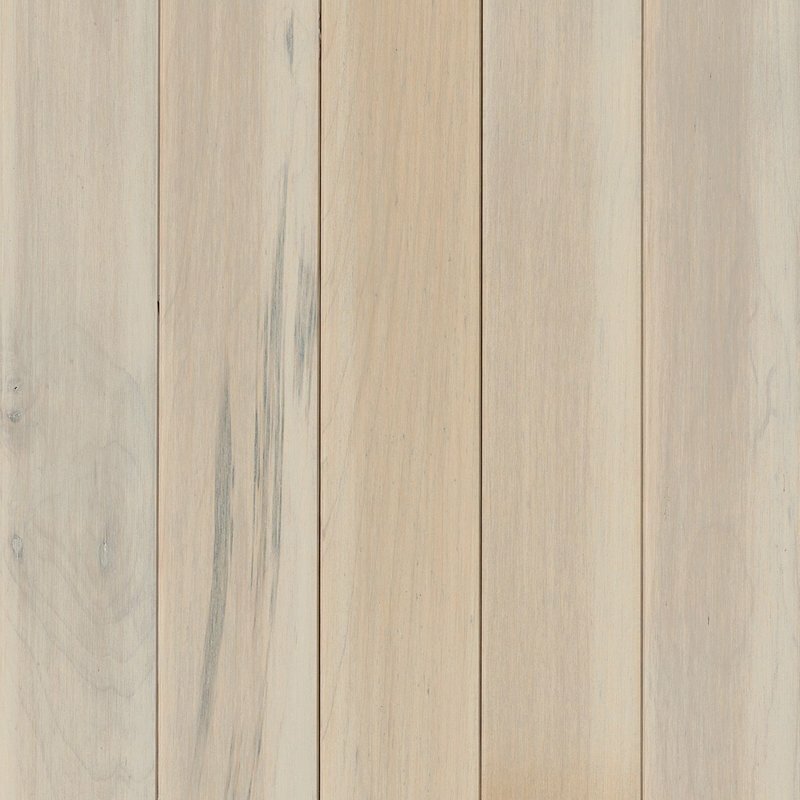 Most whitewashed hardwood come 5 inches or wider. 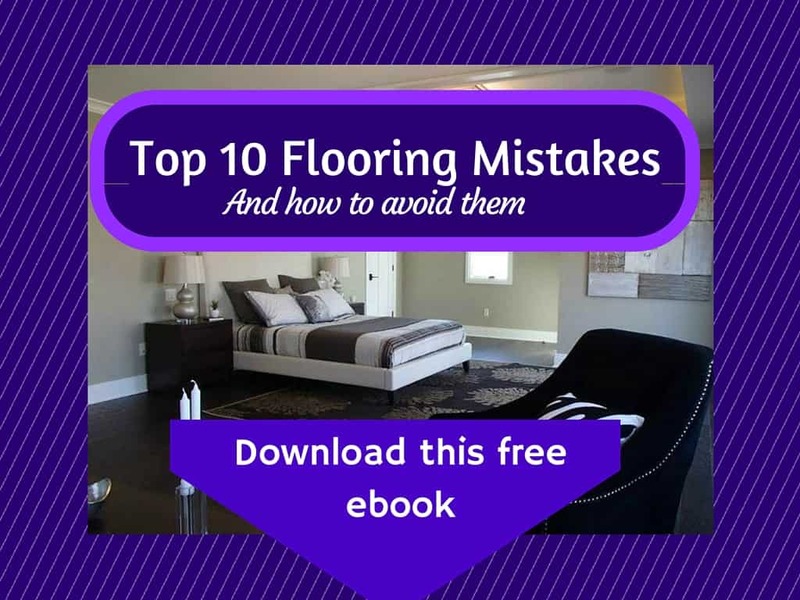 Some even come as wide as 7 or 7 1/2.” While wider does make your space look larger, bear in mind that if you have a very small room, a super wide plank (i.e. 7″ or wider) make look too wide and too chunky. 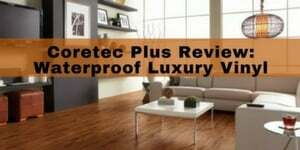 You will find that most wide whitewashed woods come in an engineered format since most people prefer wider planks when it comes to white floors. 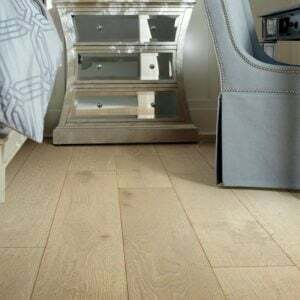 Prices get much more expensive on wider solid wood planks. 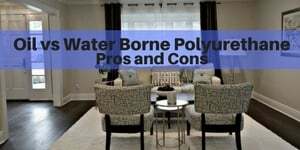 Most people prefer satin (low sheen) and even matte (no sheen) finishes now, and when it comes to whitewashed floors, more people gravitate towards matte. it just looks better and more stylish and works better for the look people are trying to achieve with this shade of wood. 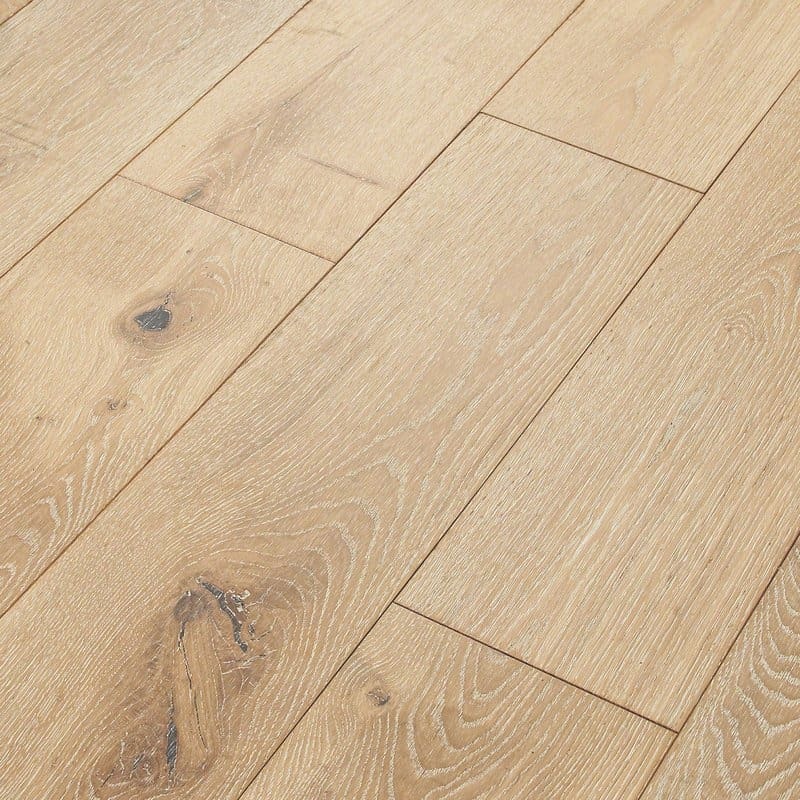 Most whitewashed floors work best with American/Canadian hardwoods such as oak (especially white oak), maple and birch. Occasionally, you’ll find some with ash or hickory. 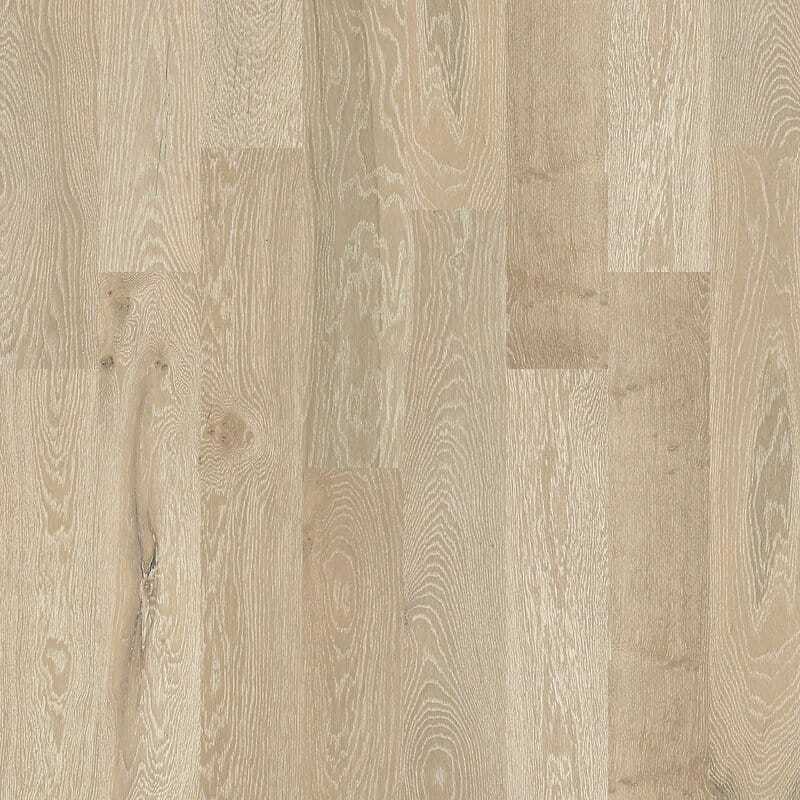 White floors do not work well with reddish woods (e.g. American Cherry, Brazilian Cherry) or pines, which typically have orange or reddish undertones. These over shadow the white wash and make wood look pinkish or orangish. Maples and birches are lighter/blander, so often the whitewash looks whiter on these woods. The graining on these species is smoother too,and some people prefer it. 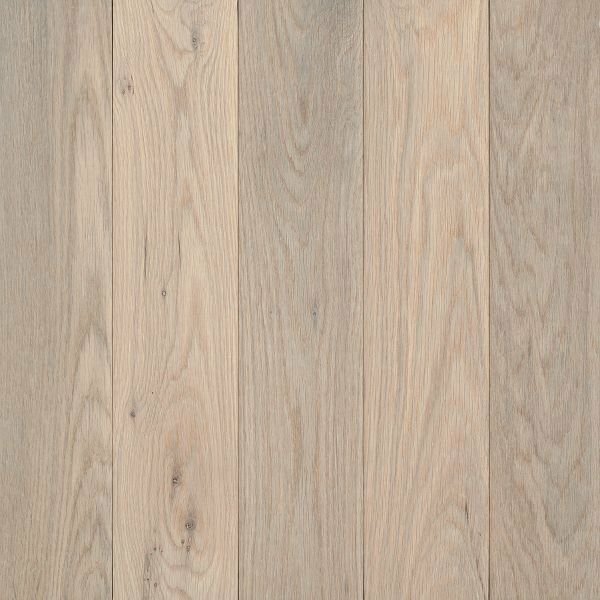 Oaks have stronger graining, so if you if you love strong graining or want a wirebrushed or etched look, then choose oak. 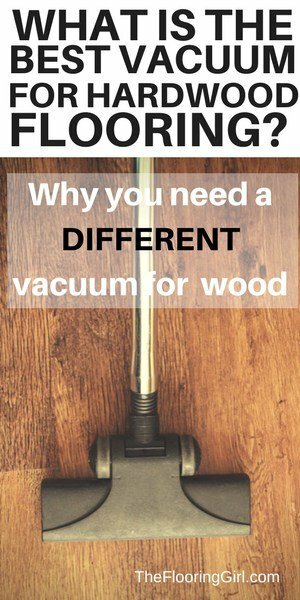 But the truth is sometimes it’s hard to define what you like until you see it, so let’s take a look at some of these gorgeous woods. I’ve included a range of whites and even some that are closer to natural. Click on the pictures if you’d like more info about the products. If you’re going for a farmhouse style look, here are some ways that you can add some rustic charm to your home. A super simply way to add some charm is simply to add some farmhouse style signs. So, I’ve put together a few choices that you can order on Amazon. You can click on any of below pictures to view them on Amazon. You can find more farmhouse signs here on Amazon. 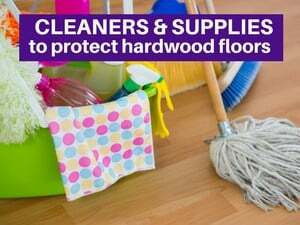 So I hope you have enjoyed white washed hardwood floors. Let me know your favorite in the comments. 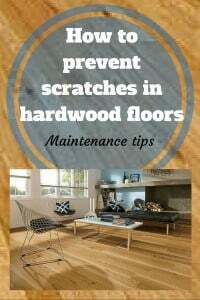 Oh, and if you’re looking for how to whitewash existing hardwood floors, check out this article. – the floors feel a little rough in some spots as if I might get a splinter by running my hand across it. I’m not sure if this is correct and the finisher will “smooth” it out or if it wasn’t sanded properly. Should I insist he sand again before applying the second coat? – He is not planning to use a Bona Sealer, just the finisher. I can’t tell from what I’ve read if that’s ok or if a sealer is, in fact, needed. – The flooring person told me it would take 2 days to dry and then they would apply Bona Novia finish (tan cap on the bottle). Then he changed to saying it would take 1 day and he would apply the finish. When I quoted him and another worker both saying it takes 2 days, he went back to 2 days. I tried to figure out how many days is proper from the bottle, from Bona’s website and from readying anything I can find on the internet. It seems to vary from 24 hours to 7 days. What is the proper amount of time? Sorry about the many questions but I’m so uncomfortable at this point and don’t want this person to continue and do a bad job. Thank you so much for any advice!! Cindy – First, it’s totally normal for the floors to feel rough after sanding. It will not be smooth until after they buff…and they should NOT be buffing until after the 1st coat of poly is put down. They would normally buff between coats 1 and 2 and coats 2 and 3, and then it will smooth out. Whether or not your refinisher sanded properly, I obviously can not comment on. But, it is normal and expected for it to feel rough at this point. 2nd, typically, the 3 coats of water based poly would be done over a 2 day process. Each coat needs an additional 2 hrs to dry, so by the time it would take to get the 3rd coat on, it would be night time. (it’s like nail polish…the more coats you add, the longer it takes for each additional coat to dry). With a stain, you don’t need a sealer. The stain is the sealer. Then, you would usually do 3 coats poly. Next, I think you may be getting drying time and curing time mixed up. 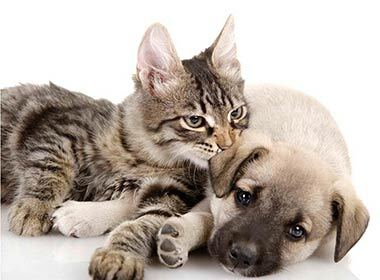 (I have an article on my site about this…if you want to read it, go to search bar on right and type in cure or curing and it should come up. Generally, it will “dry” in a few hours…8 hours at most, but, you really should wait 24 hrs before walking on it (socks only) to be safe. So, I consider the floor to dry in 24 hrs. Then, for curing, Bona claims that their HD product cures in 7 days. I play it safer and consider it 14 days. At that point, you can put area rugs on it, and it’s okay for dogs to go on the floor. Regarding furniture be placing back on the floor, IMO, 3 days is enough curing time to allow furniture to go on the floors. 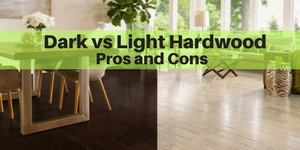 Some contractors say 2 is okay, but clearly is better as the floors have cured (or hardened) more…so they are less likely to scratch when placing furniture on them and safer to wait this amound before drop cloths (for painting) or cardboard (for moving) are placed on the floors. Yes, it does help! Thank you! My only issue now is the kitchen area is whiter than the walkway/travel area, living room and dining room (it’s basically one large room with no walls). I sent him pictures asking how it will be remedied and I’m guessing he’ll tell me he’ll add a 3rd coat to match the kitchen. Maybe I’ll just have to live with it as I can only see this downward spiral becoming more of a mess. Ugh! Cindy – Glad it helps. 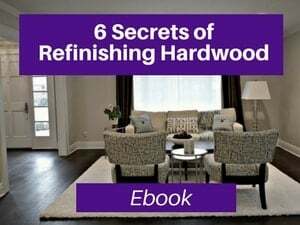 White wash is very difficult to work with and colors can easily be inconsistent if done at different times or if wood was installed at different times in different areas. 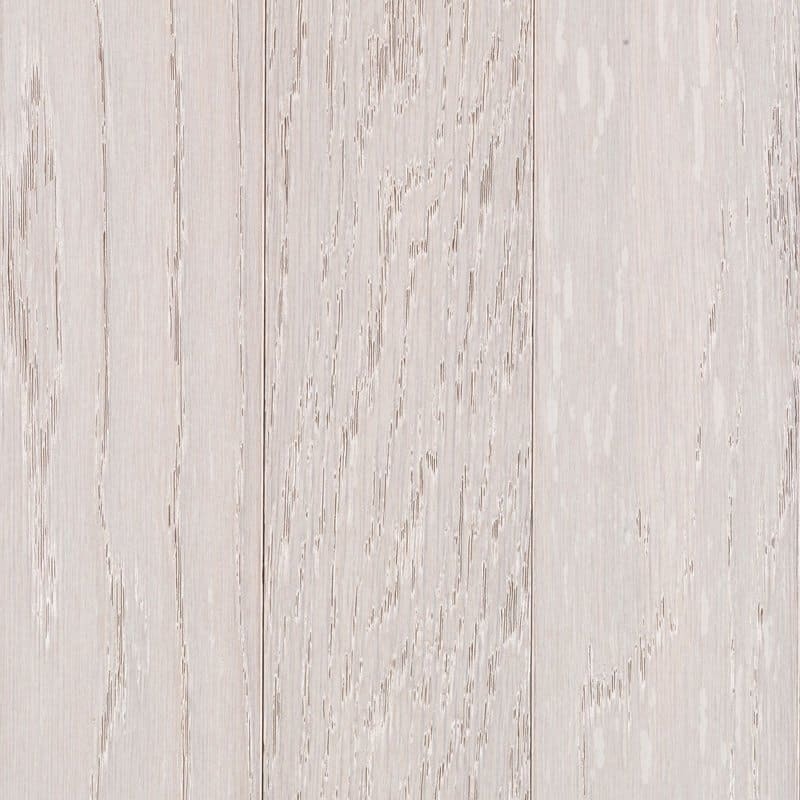 The wood ages differently and you see it more when it’s whitewashed (or natural). HI there! I’ve read your entire site and posted once before. thank you so much for your advice. it’s really very helpful. 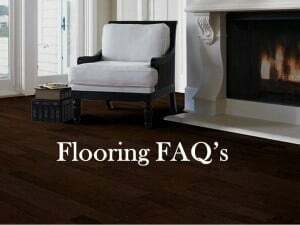 We had a terrible experience with our previous contractor and our Brazilian cherry floors which we refinished and stained in ebony. We have been researching and thinking about what do for about a year. We do not like the red. The contractor stained them in Ebony and although they look good (he did a terrible job on some parts which is why we have to redo them but I won’t get into that), they always look dirty. I have 3 kids w lots of friends and you can see every single grain of salt and minor scratch. it’s just too stressful for our family to have dark floors. So we are debating how to proceed. We have dark cabinets and dark furniture. we were going to go with “natural” but after researching, we’ve learned there’s a good chance of them getting red again. I’d ready we have a better chance of them staying lighter if we go with Bona HD but apparently they can still get pretty red. We live in Florida and my house gets lots of sunlight. We love the white-washed look but not sure Brazilian cherry can handle that? We just had a highly recommended contractor, with great reviews, come out who said he would be willing to do the white-washed, but they could get a bit yellow. He’s always done oak in white-washed, not Brazilian cherry. 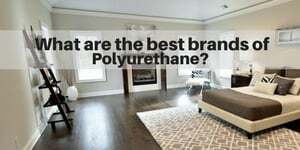 I can’t find any examples online for white-washed Brazilian cherry. So that alone is scary. My husband is saying “what about putting a white-washed laminate” on top of the Brazilian cherry? But i’m scared that will look cheap. 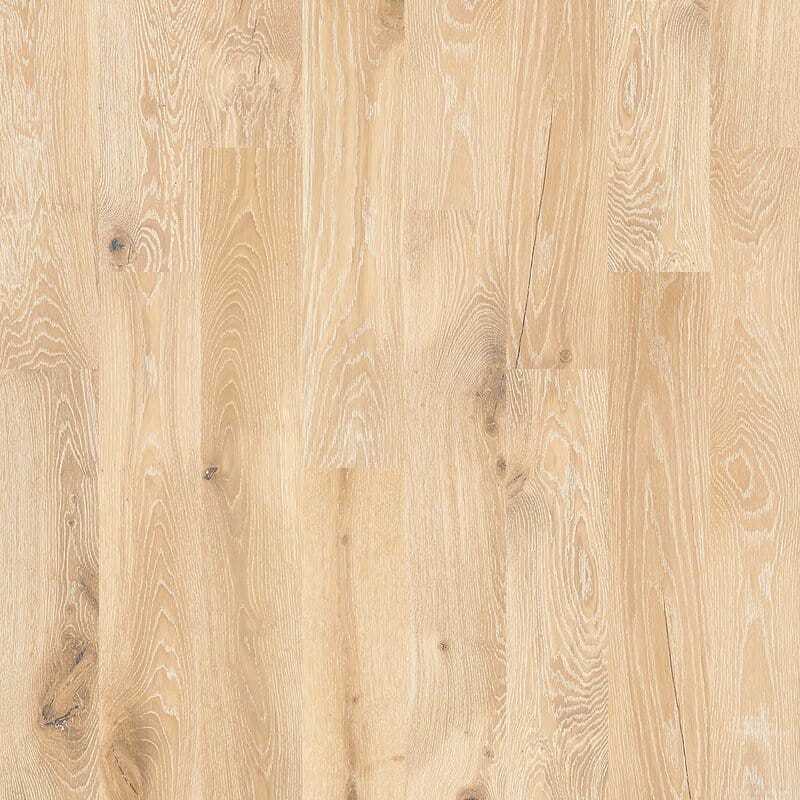 I read about a lady that pulled out her Brazilian Cherry floors and replaced them with white -washed engineered wood floors. I just feel terrible pulling out these great Brazilian cherry floors. We are completely stuck on what to do. Any tips? Thanks again for your help. Hi! I need help please! My contractor about to white wash my white oak floors. I read your blog and mentioned Bona White, but he is concerned about the floor being blotchy because it is a large open room. He wants to use Zar Coastal Boards instead. What is your opinion of the whiteness of Zar versus the Bona White? PB – I know Bona White will work. Not sure why it would be blotchy…unless you have maple…in which case any stain will be blotchy. I’m not familiar with Zar Coastal brands. It sounds regional, and I can’t comment on it as we haven’t used it. He could test it or test both to see which you color you prefer.